Since the inception of mail order pharmacies, it has become extremely easy for patients to access medications from the comfort of their homes. In essence, internet pharmacies are convenient and more affordable compared to conventional brick and mortar drugstores. A good example of a reliable internet pharmacy is CVS.com. Business Name CVS Pharmacy, Inc.
Business Address Pharmacy network. Over 6,300 storespharmacies. 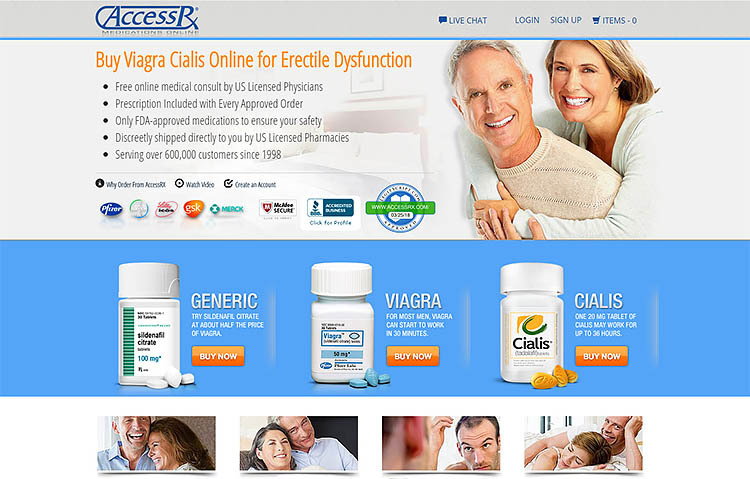 Registrant Name CVS Pharmacy, Inc.
Admin Name CVS Pharmacy, Inc.
Tech Name CVS Pharmacy, Inc. This site’s domain was registered on January 30, 1996. From this date alone, we can conclude that the domain belongs to one of the oldest mail order drugstores available today. The platform has been in existence for over 22 years, and there is no sign of the business closing down soon. The name of the registrant is provided as CVS Pharmacy Inc. The website is located in the USA, but there are other European countries involved such as Spain and the UK. Nevertheless, there is no major cause for concern considering the fact that the EU countries named do not pose any threats. According to scamadviser.com, the pharmacy has a 100% trust-rating. The domain is also secured using SSL encryption, meaning that you can carry out your transactions without any fear. 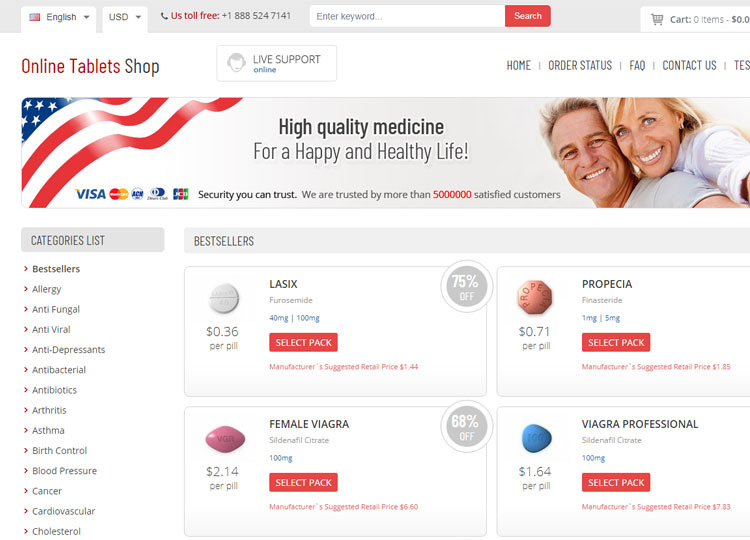 This pharmacy’s website is professionally designed. The web layout is simple and very easy to navigate; you can find almost every item displayed on the site with relative ease. Additionally, the website encourages new customers to create an account to make it easy to place orders and make payments. We discovered that CVS is not a single health store, but a pharmacy network of over 6,300 stores located across the globe. All these subsidiary stores work under CVS as the main drugstore. Nevertheless, this does not mean that CVS belongs to an illegal affiliate program. 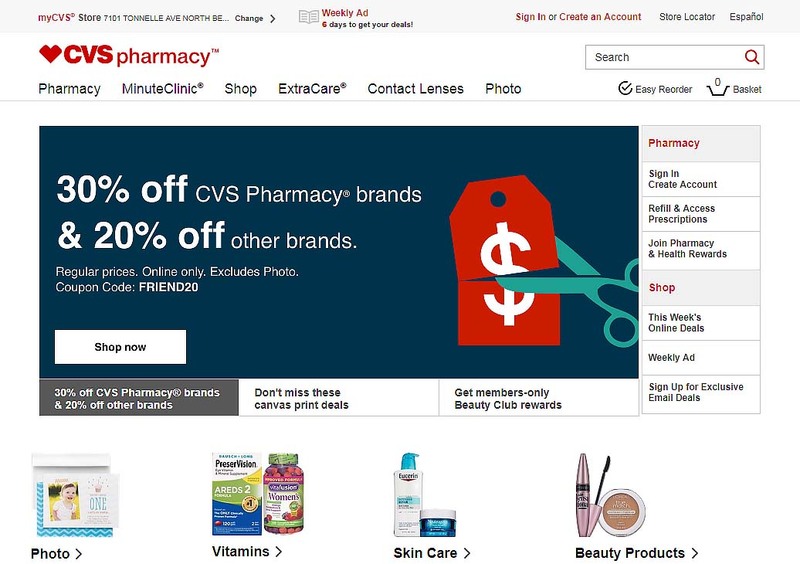 The only mirror websites associated with this pharmacy is CVShealth.com, a site that provides more information about their operations. The pharmacy uses the name CVS Pharmacy, Inc as its business name. This name is not only valid, but also makes sense considering the fact that this business entity is involved in the sale of medications. 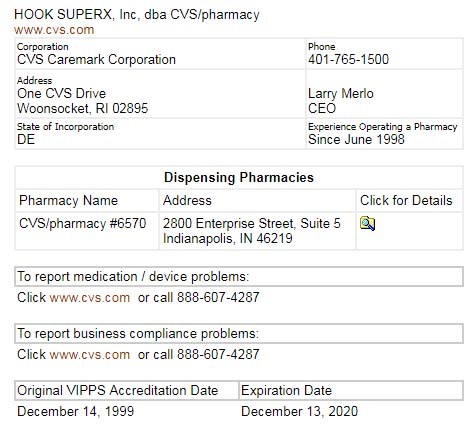 The drugstore does not have a particular physical business address, as it has over 6,300 branches located in the USA, European Union, Spain, and Australia. How does CVC work near me ? CVS pharmacy working hours range from 7:00 am to 11:00 pm every business day (Monday to Friday), and 9:00 am to 6:00 pm on Saturdays. The pharmacy also operates on Sundays from 10:00 am to 6:00 pm. For any pharmacy to be considered genuine, it must comply with various drug regulations. The pharmacy must also receive approvals from relevant regulatory authorities. Our findings show that CVS Pharmacy has been certified by the National Association Boards of Pharmacy (NABP) to operate in the United States. 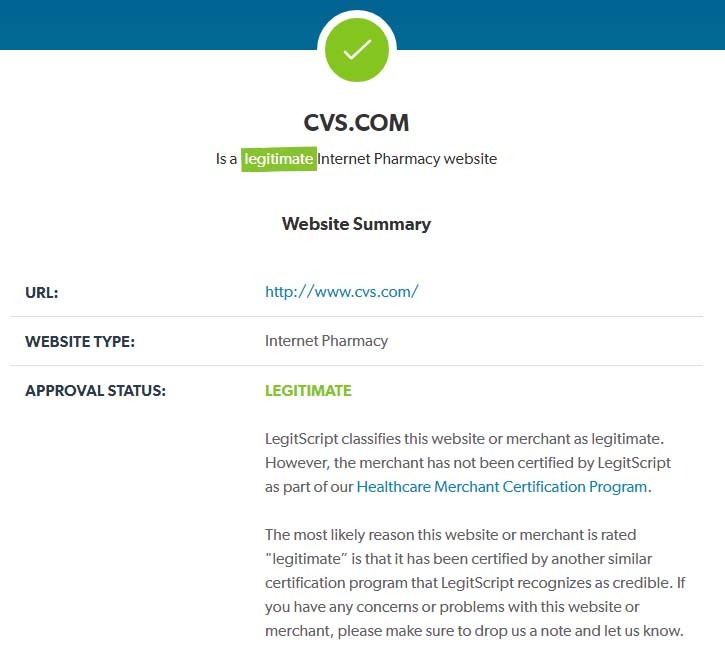 A search on legitscript.com also shows that this pharmacy meets the minimum requirements for verification, and it has been listed as a legitimate drugstore. We also searched on CIPA.com, but discovered that the pharmacy is not a member. However, this is not a major issue considering the fact that CVS mostly concentrates on serving customers based in America and the EU. Despite all these approvals, some reports suggest that this pharmacy has a history of violating federal laws. For instance, CVS had to recall an organic spice herbal tea product from the market after it was established that it posed a health risk. In another incident, the pharmacy was forced to pay a $2.25m fine after it was found guilty of violating HIPAA privacy rules. 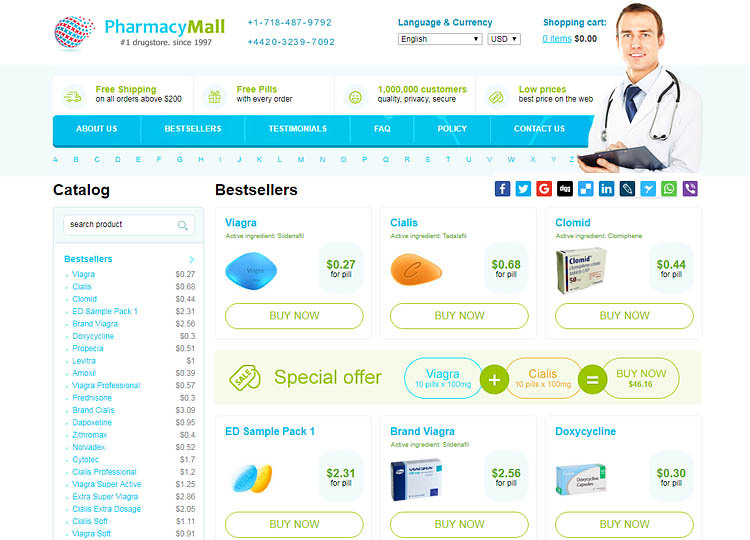 The pharmacy offers a wide range of generic and branded drugs to its clients. It also works in collaboration with highly reputable pharmaceutical companies based in the USA, Canada, and India to provide safe and high-quality medications. According to the pharmacy’s prescription policy, you need a valid prescription from a certified doctor to purchase drugs marked RX. This is very important for the pharmacy to remain in compliance with federal drug regulations. Nonetheless, over the counter drugs do not require a prescription. 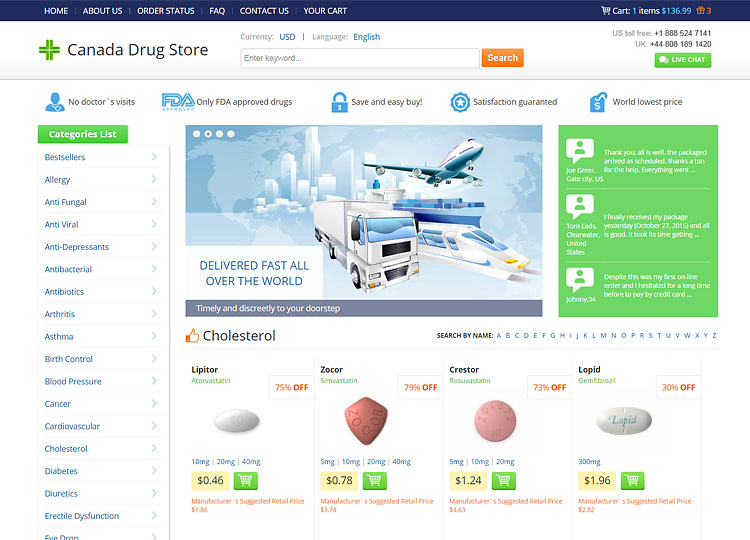 We discovered that this pharmacy does not display the prices of drugs on their website. You cannot know the price unless you contact the pharmacy via email, or place an order. 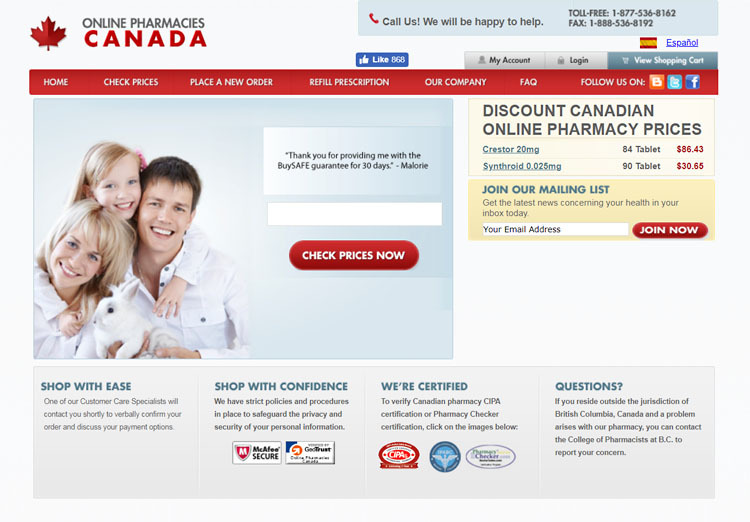 The pharmacy will display the price on your online account after processing your order. This is not only inconvenient but also time-consuming, as the entire process of confirming your order might take several hours. We also found out that the prices of drugs are very expensive compared to other drugstores. This could be another reason why the pharmacy does not display their price offerings. However, CVS offers various discounts on selected products. Customers enjoy a 30% discount on CVS-branded products and 20% discounts on other brands. Accepted payment options include MasterCard, Visa, and American Express. CVS owns an SSL certificate that indicates all payment transactions are secure. Orders above $49 are eligible for free standard shipping. All shipments are dispatched from the USA to various destinations, with delivery times ranging from 1 to 3 days. This pharmacy has sharply contrasting reviews and testimonials. While some customers seem happy with the services on offer, others appear disgruntled with their shopping experience. According to reviews available on trustpilot.com, most clients claim that customer support offered by CVS is quite wanting. You cannot cancel your online order or make changes in case you make a mistake. On the other hand, some customers have had a wonderful experience as suggested by the feedback they posted on various third-party review websites. 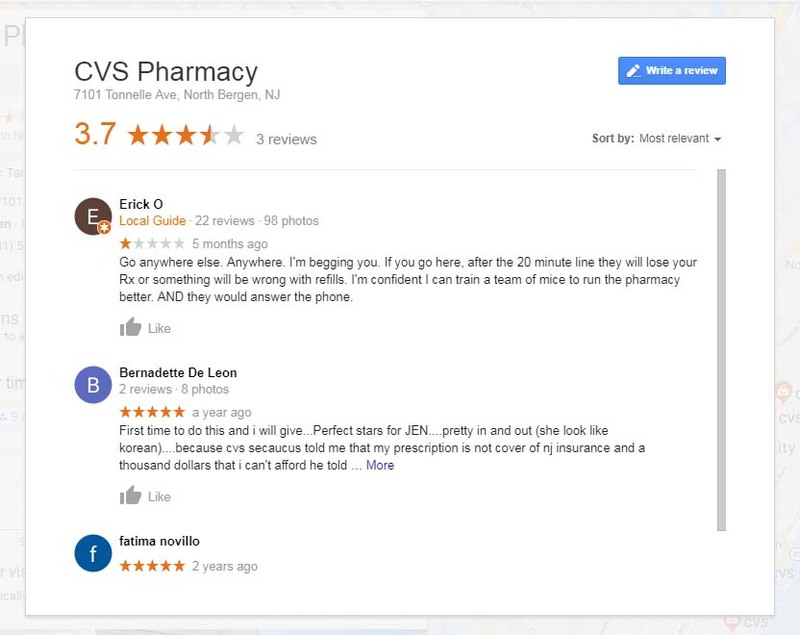 CVS is a pharmacy network with a very good reputation. Although some customers have raised complaints about the level of service, we must appreciate the fact that running a network of over 6,300 stores is not easy. Bearing all these factors in mind, we feel that this pharmacy deserves a 3.7 out of 5 rating for trying their best.